In January 2005, Mr. Davis created Fairway Advisors, a national golf course brokerage and advisory firm. Fairway Advisors was formed to offer the golf course industry professional transaction management and a vast array of advisory services. Some of Mr. Davis’ noteworthy transactions include Blue Hill Country Club located in Boston which was the host of the 1956 PGA Championship. Apple Ridge Country Club located in Bergen County, New Jersey which was the largest golf course sale in the Northeast in 2014. Edgewood Country Club located in Bergen County, New Jersey which was the largest golf course transaction in the Northeast in 2015. Engineers Country Club located in the Gold Coast of New York’s Long Island. Engineers was the largest golf course transaction in the Northeast for 2017 and was the host of the 1919 PGA Championship and the 1920 US Amateur Championship. In addition to single asset sales/recapitalizations, Mr. Davis has also been called upon to market portfolios. In 2006 GIBG tapped Fairway Advisors to market a nine-course portfolio located in five Eastern States. In his twenty-year career in the golf industry, Davis has sold, advised and consulted on over $1 billion in golf related assets. Prior to starting Fairway Advisors, Davis founded Cushman & Wakefield’s Golf Group in October 2000. During his tenure at Cushman & Wakefield, Davis sold and advised in excess of $200 million dollars of golf course properties. These prestigious properties include the sale of Legend Trail Golf Club, formerly ranked as one of the "Top 100 to Play" golf courses in United States. Davis also sold world class tournament venues consisting of Valencia Country Club, site of the 1998 Nissan Open and Kemper Lakes Golf Course, home of the 1989 PGA Championship. In 2002, The Kemper Lakes sale represented the highest sales price of any exclusively listed golf course in the United States. 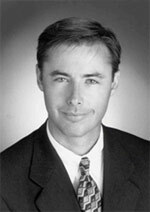 Davis’ experience in the golf business began in 1993 when he was a Principal and founder of Hansen Clark Golf Properties. Davis completed transactions for private non-equity, daily fee, and former municipal golf facilities throughout the United States. Hansen Clark Golf Properties, under the guidance of Davis, represented some of the largest golf management companies, institutional investors, lenders and private investors in golf course sales throughout the country. During his term with Hansen Clark, Davis consulted and closed more than $150 million dollars in golf properties. Prior to entering the golf business, Davis was an investment broker in Southern California. Davis is a member of the United States Golf Association and currently resides in Dallas. Davis is a volunteer for The First Tee Foundation.